More and more people are adopting SONAR as their digital audio workstation of choice. 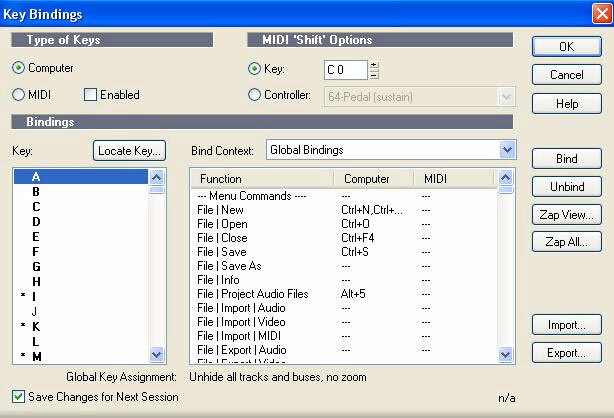 To make the transition easier, we've enhanced SONAR's Key Bindings feature with presets to allow users of other programs such as Pro Tools, Logic, Cubase, Nuendo, or ACID to use the keyboard short cuts that they have already committed to memory. FREE DOWNLOAD: SONAR 4 did not ship with presets for Soundforge or ACID(SONAR 5+ already has these presets), but we have those Key Bindings presets available online. Click here to download a Zip file that contains the preset for those applications. You'll want to save the file to: \Program Files\Cakewalk\SONAR 4 Producer Edition or \Program Files\Cakewalk\SONAR 4 Studio Edition. 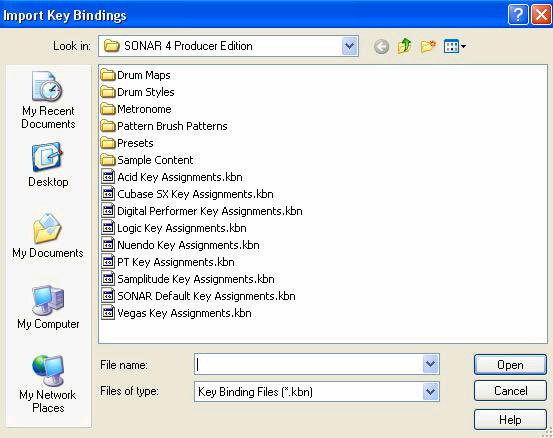 Here's how to set up SONAR 4 to use the same Key Bindings as your other programs. Step 2: Click on "Import"
Step 3: Select the preset of the program that you want SONAR to emulate, click "Open", then click "OK"
Now SONAR will use the same keyboard shortcuts as the program that you are already familiar with.